In addition to removing all of the blatant Christmas decorations, here's what I've done to keep our house festive without it looking like I'm living in the past (i.e. last holiday season). 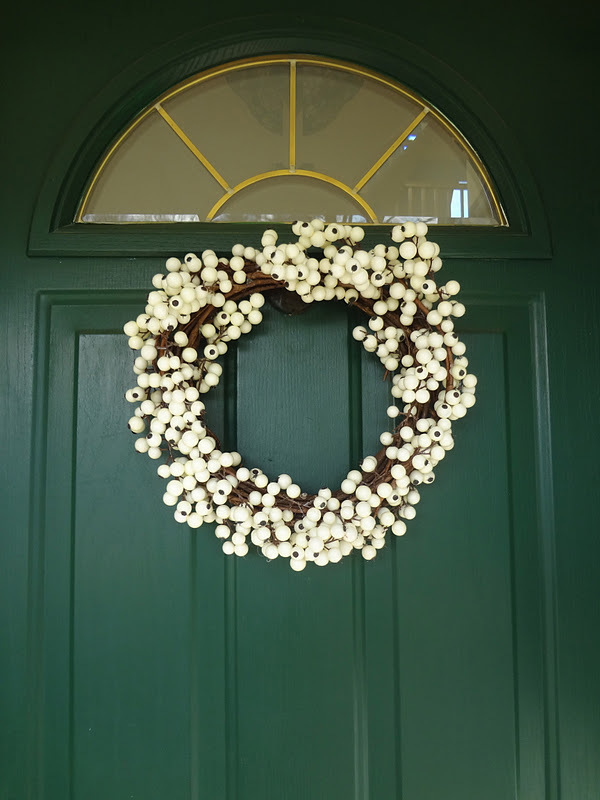 I've also removed all bows from my Thanksgiving wreath - it's just hanging on our front door, unadorned, and I love how simple and wintery it is. Have you taken all of your Christmas decorations down yet? Do you have any winter decorations that make their way out this time of the year? Let me know how you've switched up your decor and stay homey! I took down all of our decorations last night. The house seems so sad now! I am brainstorming some new decorations to cheer up our space! All of my decorations are down BUT in a huge caotic Christmas pile on the floor next to the even bigger Christmas pile.......our tree!! Eventually everything may be in storage.......hopefully before summer! lol. Love the teal planter....super cute with the poinsettias. I love the wintery penguin print! I have taken mine down, but that is unusual for me. Normally I leave the tree up until Christmas is actually over (Jan 6. Twelvth Night).